875 Shettleston Road,Shettleston, Glasgow. G32 Tel: 01417783859. 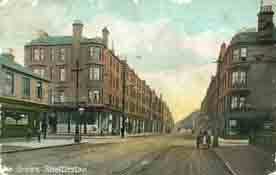 Postcard view of Shettleston Road with Gilchrist's Tavern on the left.